We’re running a bit behind schedule with JAAM 33 – you can now expect it to launch into the world in late November. But it’s going to be great! 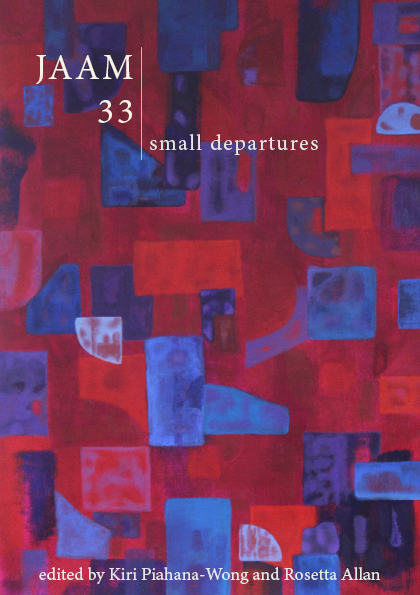 In the meantime, here’s the cover, featuring a painting by Auckland artist and poet Rachael Naomi. This entry was posted on Sunday, September 13th, 2015 at 7:07 pm	and posted in Uncategorized. You can follow any responses to this entry through the RSS 2.0 feed.